This interview is with Mark Switzer, one of the producers of the new GVSU video, You Can Play. 1. What prompted you to get involved with the You Can Play video for GVSU? Joe had prior knowledge of the project, given his interest and research regarding sports and oppression. Colette (The Director of the LGBT Resource Center) brought Joe Miller and I together, given my interest areas and skills (I have worked on various media projects for the LGBT Resource Center throughout the past 3 years). Joe, Alex (Gillis), and I then met with the SAAC (Student Athlete Advisory Committee), beginning production on the GVSU-focused You Can Play video soon after. I was most interested by the simplicity and power that the YCP videos hold. 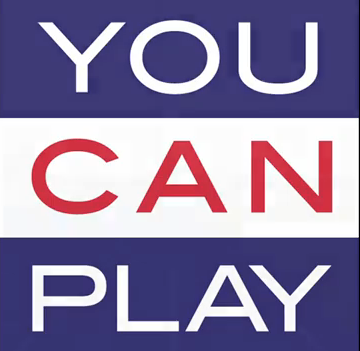 Seven simple words (“If you can play, you can play”) are easily said and understood. 2. Why is it important for both the University, and the Athletic Dept in particular, to take a public stand on this issue? 3. What obstacles are there in the culture of sports that make it difficult to fight for LGBTQ justice and inclusion? Homophobia is rooted in sexism, which is manifest in athletics through this positing of hyper-masculinity as the norm. The barriers are clear and rigid within athletics. Case in point: at this time, no active NFL player has ever come out. There is no space for LGBTQ peoples within athletics. 4.What are the hoped for outcomes of the video and this campaign? And what are components (if any) will there be to this campaign at GVSU? This video has its place within a larger conversation. To say any more than that, to spin it as something that will give way to immediate, cultural change, is ludicrous. At best, one person will see this video (and the others like it), becoming inspired to use less sexist language within the homo-social space of the locker room. In regards to the smaller-scale, GVSU-based outcomes: It is my hope that by connecting GVSU to this project and giving voice to the inclusive policies within our athletics programs, that we are assisting student athletes with their development—reducing the anxiety that they may feel while coming to terms with their gender identity and/or sexual orientation.